[German]Some users are receiving error 0x8007002C-0x4000D during upgrading a Windows 7/Windows 8.1 machine to Windows 10. Here are a few hints. I’ve observed this error code during upgrading to Windows 8.1 (see my German blog post Windows 10: Upgrade-Fehler 0xC1900101-0x2000A). Folder Panther contains *.log files, whilst folder Rollback contains *.txt files. Just copy these *.log files via explorer to desktop and open it in Windows editor notepad. Then search for the error code. In some cases, some additional hints may be found. Uninstall your firewall, antivirus und security software. I’ve done a web research and found several cases, where security software blocked the upgrade. Remove all unused SATA devices. I found incidents (here, here), that DVD drives and additional SATA disks has been the root cause for install trouble. Background-info: Some mainboards are using SATA controllers which doesn’t support AHCI mode required from setup. Also take care, that your hard disks are not formatted as dynamic disks. I’ve seen several incidents, that this was the show stopper. Also cloned SSD’s (from hard disks) has been identified as show stoppers. Some users are forced to remove wrong WWAN miniport entries in device manager or deactivate the WLAN adapter. Remove all devices not necessary to upgrade, de-install unused drivers and deactivate the devices in device manager. Also update all remaining drivers. Also overclocked systems or damaged Windows files has been the cause for this issue. Try to fix Windows corruption errors by using the DISM or System Update Readiness tool, as recommended in KB947821. 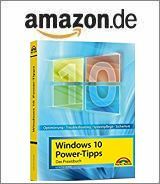 Have also a look into this US MS Answers-Wiki (German edition Windows 10: Installations- und Upgrade-Troubleshooting). This entry was posted in Update, Windows and tagged error 0xC1900101-0x2000A, Upgrade, Windows 10. Bookmark the permalink.